Justin Santora (who I now know is actually a very nice dude in real life) has two awesome new prints up for sale. His Flatstock poster is a 23″ x 29″ screenprint, has an edition of 45, and is $30 shipped. 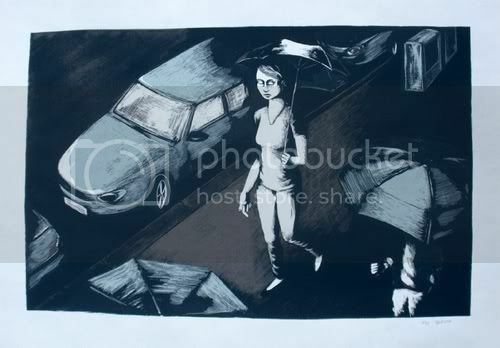 “Woman with Umbrella” is a 19″ x 25″ screenprint, has an edition of 60, and is $25 shipped. As usual, these are all hand-drawn and hand-printed. 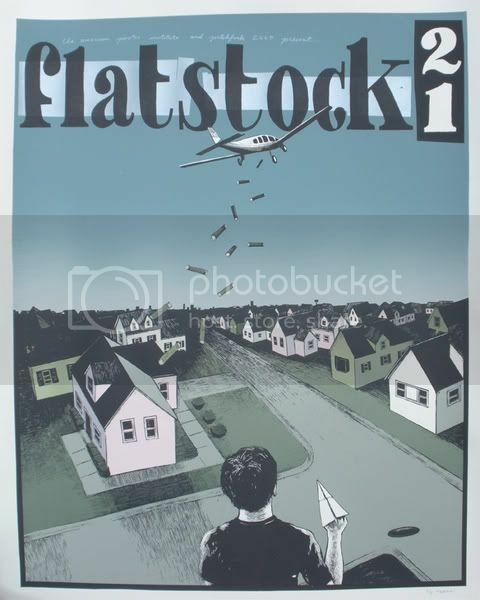 Visit the Gigposters.com Classifieds. Very nice guy!!! Buy his prints!!!! That Flatstock print is my new favorite of yours. Great open-space feeling. Way to go Justin!